He is represented by the warrior in front of the turtle, protecting and guiding them, giving them support (the two chasing birds on one side), knowledge and lore (the fern frond on the other side). 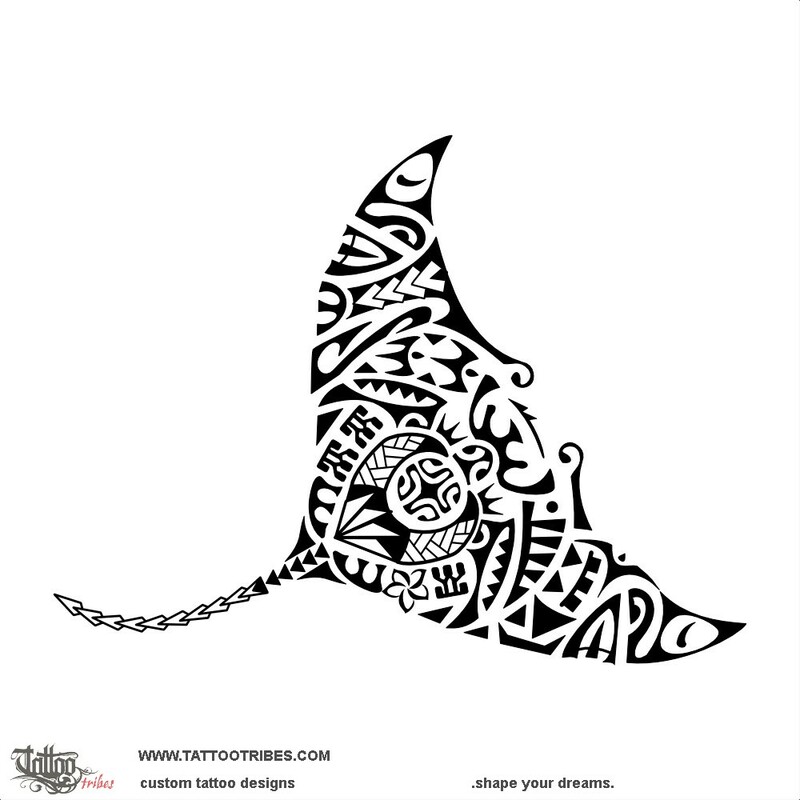 Other elements on the wings of the manta symbolize the warrior, prosperity, voyages and adventure. 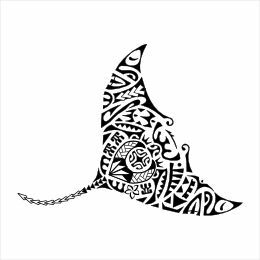 The two tiki on the tip of the wings protect family from all sides and the manta itself is a symbol of beauty and freedom.